eThekwini has placed the number of homes affected by the massive storm in KZN at almost 3000. 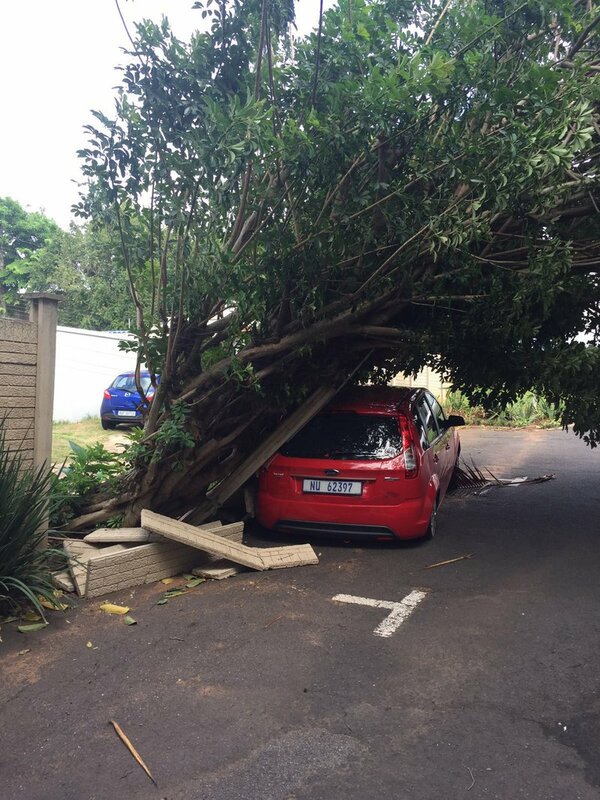 Heavy downpours and strong winds caused havoc in the city exactly a week ago. Roads, homes and businesses were flooded with Durban recording 108-millimetres of rainfall. eThekwini's Disaster Management Unit head, Vincent Ngubane presented a report to EXCO yesterday. He says ongoing assessments have revealed that 2934 homes were affected. Ngubane says community halls are being used to accommodate displaced residents who're being given hot meals daily. Relief efforts are continuing with 230 fallen trees have been attended to. eThekwini received 724 calls reporting blocked inlets. Fifty-four calls about landslides and 67 about damaged roads. Twenty-two roads in Durban's south and central regions were severely damaged. See footage of the damage caused by the storm here.